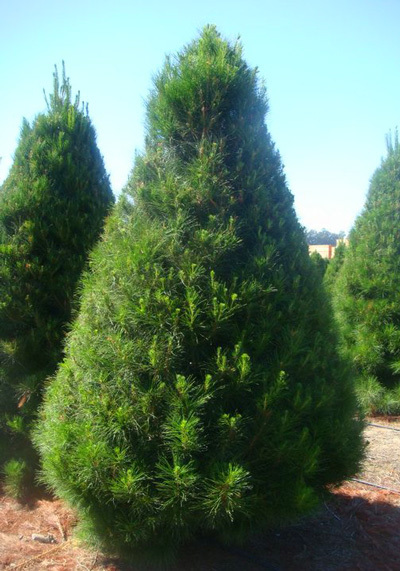 Limited Number of "Choose & Cut" Monterey Pine trees. Hagle Christmas Tree Farm grows Monterey Pines on property in Somis, CA. Come early to choose from a limited number of our trees and cut your own tree. Saws are supplied and all the extras you need, like netting, stands and more is right here on site! We are a one stop shop for all your holiday needs. 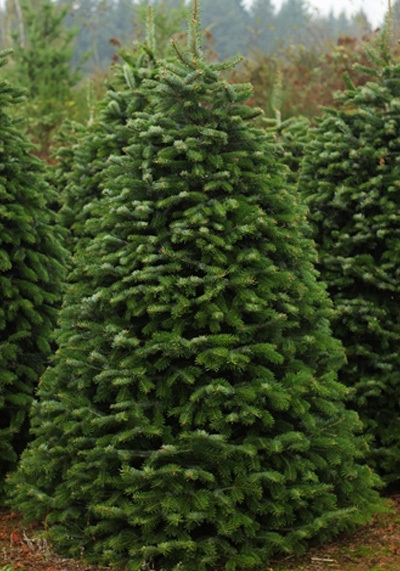 There will also be a beautiful selection of Noble & Nordmann Fir trees delivered from Oregon and Washington. All of our trees are competitively priced with all vendors in town - and remember, our Family Fun Days make your experience at Hagle Tree Farm a day to remember! Twine to secure your tree for the journey home. Please do not cut down ANY tree under 5' in height. These are future crops and are NOT to be cut. Christmas Trees are a crop and tree farmers work hard all year long to plant, shape, shear and cultivate trees for your enjoyment. One acre of growing trees will scrub clean the air polluted by eight automobiles; they provide homes for wildlife and stabilize the soil. We pride our selves on the proper care for your tree. 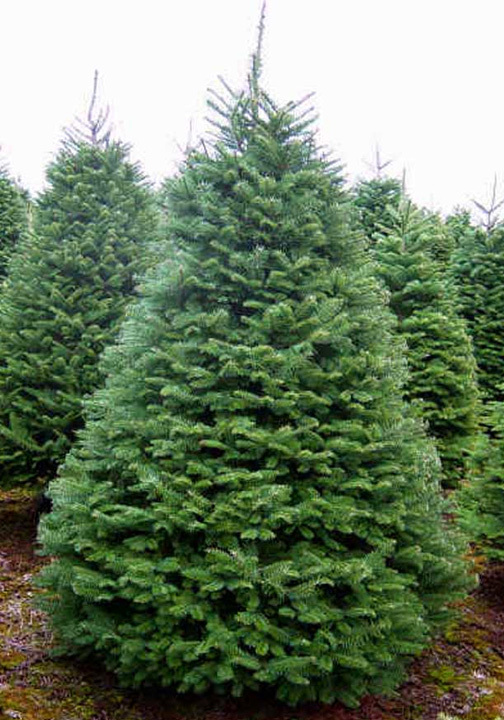 At the farm we will give your tree a fresh 1" cut at the bottom. We have stands available for purchase. All you have to do is get the tree in water. If the tree stays out of water for more that 1 hour make a 1" fresh cut off the base of the trunk just before you bring the tree in the house. This opens the tree stump so it will take up water. Place the tee in stand and immediately fill with fresh water. Check Water daily! A tree can drink up to 1 Gallon of water per day. We care for our trees all year 'round to ensure the fullest, most beautiful trees available for you. You don't have to travel very far to find us. We are just minutes outside of Camarillo and surrounding areas..